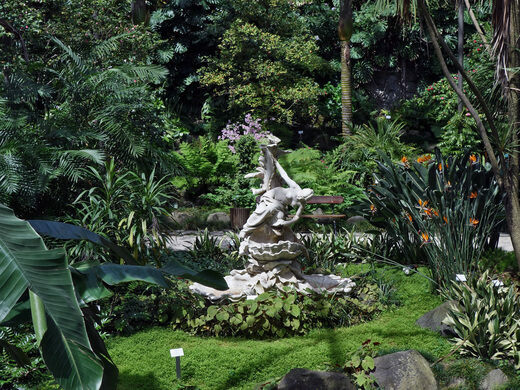 At the start of the 20th century, what is now a lush botanical garden home to over 300 plant species and dotted with beautiful lakes and waterfalls was, instead, a barren place. Lisbon was much smaller then, and the site was far from what is now the center of the city. It was a bleak zone, home to an abandoned basalt quarry. 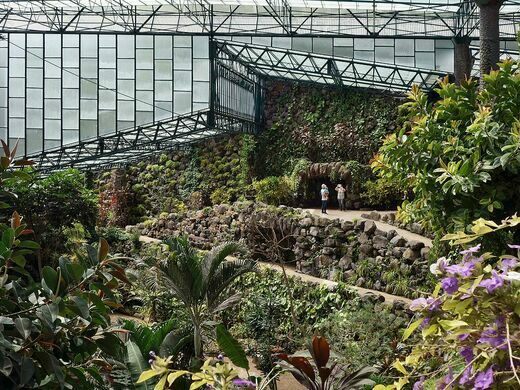 When the quarry was forced to shut down (because a waterway was found at the site that made it difficult to extract the rock), the empty cavern was used by a local gardener to shelter his collection of plant species from all over the world. His intention was to transplant them on Avenida da Liberdade, which was at the time the new and main artery of the city. But the onset of the First World War disrupted these plans, and the former quarry site was abandoned once again. Then something wonderful and unexpected happened. The fact was, the old quarry was an ideal environment for these plants to flourish, and the site grew into a magnificent garden in a short time. 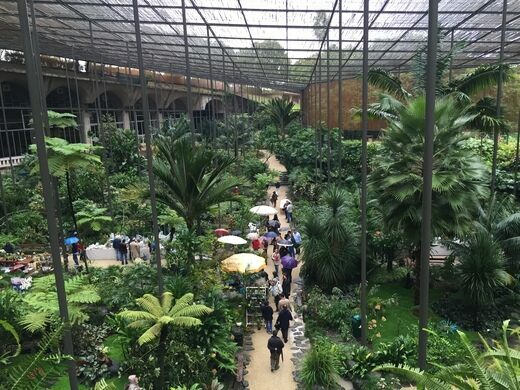 That changed the mind of the authorities of the Lisbon Council, and the Estufa Fría, meaning “Cold Greenhouse” was finally inaugurated in 1933. Since then, the space has been refurbished several times. In the 1940s a lake and a large assembly hall were added and in 1975 the Estufa Quente (Hot Greenhouse) and Estufa Doce (Sweet Greenhouse) were added to exhibit tropical plants and cactus and succulent plants, respectively. 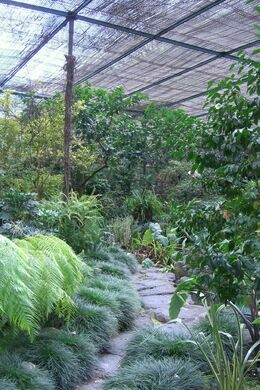 The Cold Greenhouse is so-named because it does not use heat-generating mechanisms to control the temperature of the room, but rather a natural system. A fixed wooden framework protects the greenhouse from the cold temperatures of winter and sifts the light to shade the space from excessive heat in summer. It provides a suitable temperature to cultivate plant species from regions as diverse as China, Australia, Peru, Mexico, Brazil, Antilles, and Korea. Among the most interesting specimens are the arborescent ferns from Tasmania (Dicksonia antarctica), the azaleas (Rhododendron spp.) and the camellias (Camellia japonica). An added attraction is a walkway along the original bedrock, which offers a view of the old quarry. 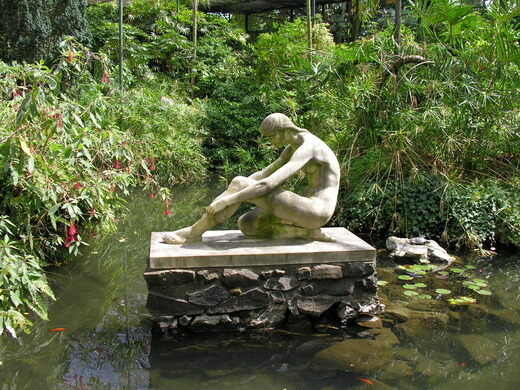 The Estufa Fría is located within Eduardo VII Park in the city center of Lisbon. The nearest metro stations are the Marqués de Pombal and Parque stations. The greenhouse now doubles as a multipurpose event venue. Ring the bell to enter a bar that looks equal parts museum and old curiosity shop.